Today I'm excited to share that for 1. I have started the Whole 30 and 2. I have stuck with it a full 7 days as of today!! Can I get a hallaluigh hand clamp please?! In this post I'm going to share with you my thoughts and lessons learned so far. 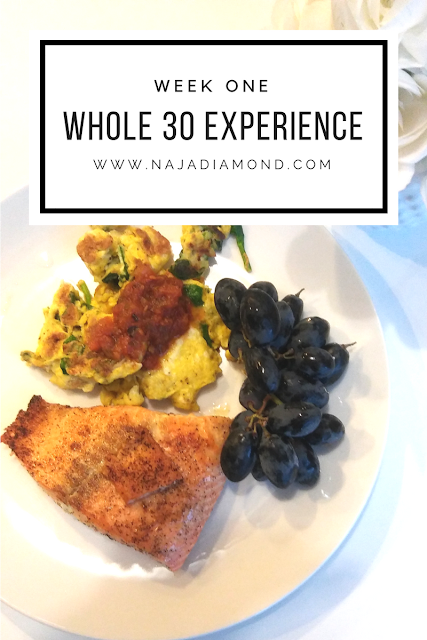 So let's just start with the basics, what is Whole 30?! 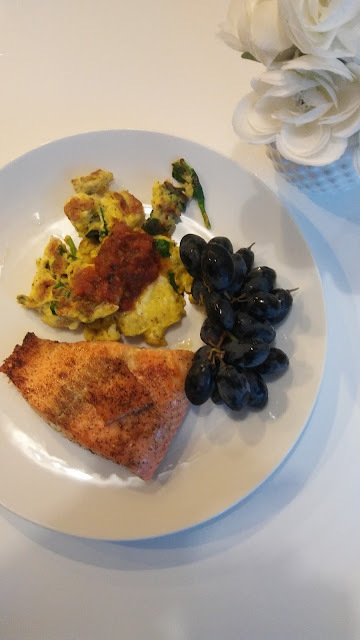 Whole 30 is basically a diet focused around eating Whole Foods in an effort to cut out food addictions and identify allergies or food sensitivies. I have been uncomfortable with my weight for some time but I also felt tired ALL. THE. TIME, was having stomach issues and pain in my knees. After much research I determined this was the diet for me. 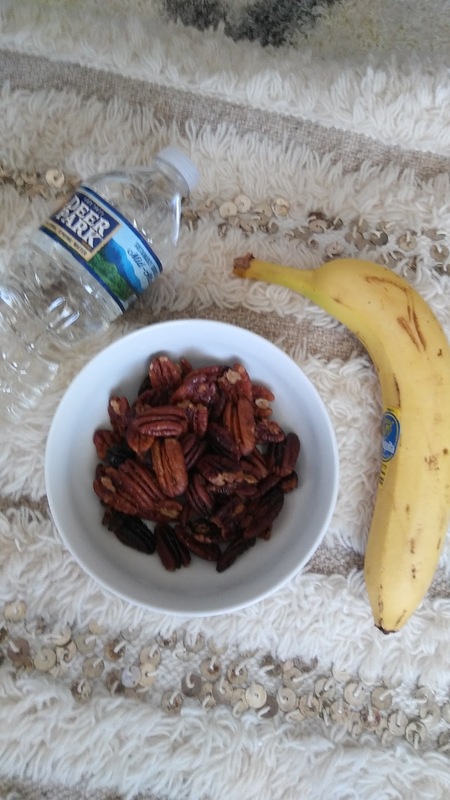 Ultimately, it is a kickstart to a much healthier lifestyle for me and after reading the rules and benefits I determined this was the diet for me! That's basically the gist of it. Now, most processed foods have some of these things in it so you need to be very careful with reading your labels. VERY careful. So let me admit right now, I FAILED the first week. 100% FAILED the whole30 program. 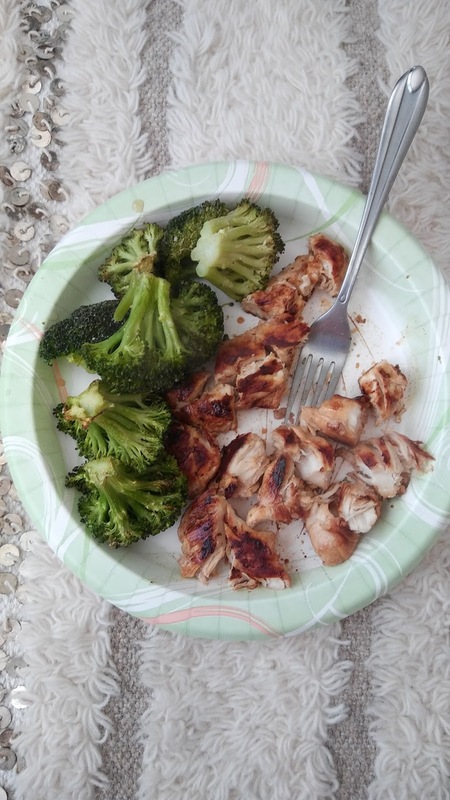 I had 2 slip-ops and in the world of whole30, slip ups are not allowed and you FAIL the program. I will admit that I did not FULLY read the rules of this program before I started. Sadly, I purchased the book skimmed through the basics and checked out some recipes that I knew I could live with and jumped in. I did not do ALL my research. Little details caught me up this week. I chew gum just about everyday and didn't think twice about popping a piece of sugar-free watermelon in my mouth. Psssstt, FYI, chewing gum AND mints are NOT whole30 approved. Ok now, this is tricky. There are some straight off the shelf condiments you CAN have such as Red Hot hot sauce but ketchup and salad dressings are a No-No. You can make your own ranch dressing but I will admit on one sleepy afternoon I caved to a dip or two....or three. 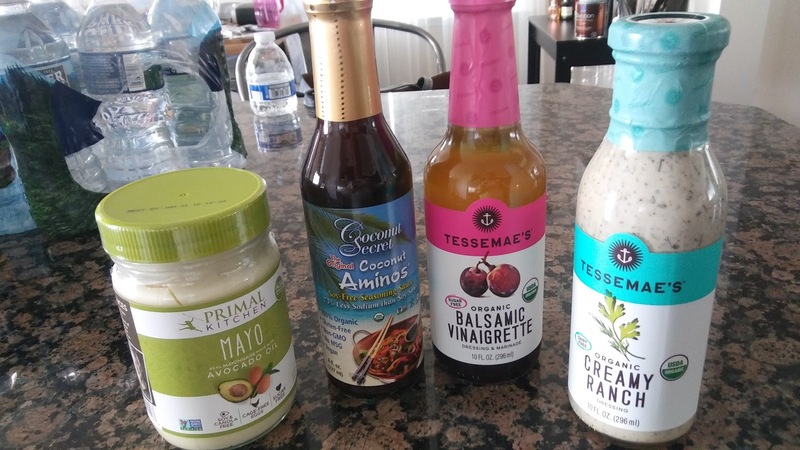 I have since stocked up on the following whole30 approved condiments and feel mighty prepared for week 2! I just couldn't help myself, I seriously just wanted to know if I was on the right track. Human moment and I honestly am NOT sorry for it. Hold up now, let's talk about my week 1 WINS! A MAJOR slip up for me is coffee. Starbucks coffee or Dunkin Donuts coffee, hell even the coffee I make at home is typically loaded with sugar and goodness and I will admit I am FULLY addicted to my one cup a day. I've had not a one. GO ME!! Other major slips for me are sodas, I was up to a 2 coca-cola a day habit before I started this challenge. SMH. No ice cream, I mean I LOOOOOVE me some ice cream. I have cooked every single day during this challenge and I don't mean heating something up in the microwave. It is not entirely uncommon for me to go a full week without turning on my stove. Shameful, I know. I actually really like to cook but I've learned that I do not like cooking for 1 person or eating alone. While I often eat alone it doesn't feel like it when I'm plopped in front of the TV, so fast food and then home to eat on my couch is normally the route. Like, my stomach feels better. Less cramping and nausea. I know once I do it 100% (no more slips-ups) I will feel even better. WOO HOO!!! Seeing that number go down is all the motivation I need to keep going and confirmation this was the right thing to do. I am so so happy with win #4 that I can't wait to hit day 30. No more scale for me though, I promise. So that's it dolls, the good and the bad of my week 1 whole30 experience. I can't wait for week 2 and feel even more prepared with the right information and products at my disposal. If you would like more information on whole30 program visit this site HERE. Also, follow me on Insta-stories and Snapchat (@NAJADIAMOND) for my daily struggles and triumphs with this program. I've been having a lot of fun sharing what I love and don't love on this journey so far. I would love it if you would follow me along this journey and cheer me on if you can, even bit of encouragement helps!